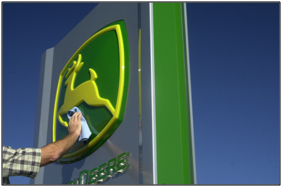 Dealer networks cover more area with the RTK signal, giving many producers access to RTK on all of their grounds. A U.S. Federal Communications Commission (FCC) license is required when utilizing the John Deere RTK Radio 450 on a base station or as a repeater. Licensing is not required for an RTK machine configuration. For more details and assistance on obtaining a license, refer to the Dealer Corner section of StellarSupport™ system. The John Deere RTK Radio 450 requires a license for a dedicated frequency. While a license has to be paid for, the user owns that specific frequency. Unlike the John Deere RTK Radio 900 frequencies, wireless providers or anyone else cannot use that frequency, thus eliminating signal jamming. 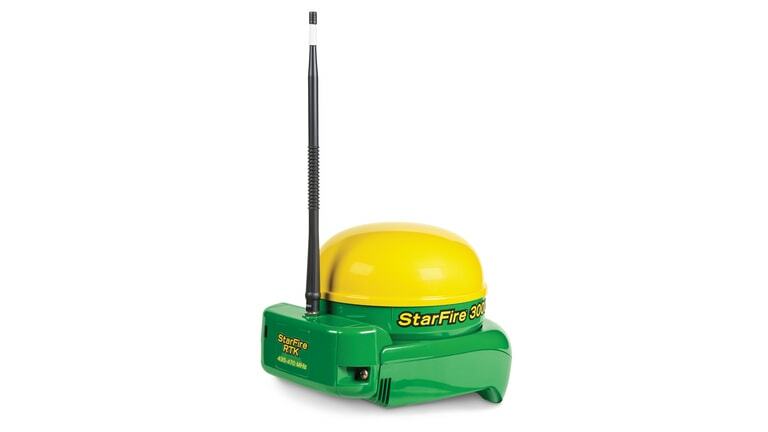 The John Deere RTK Radio 900 uses a frequency band that is like an interstate: it is free and open to the public. If only a few people are using the interstate, it moves fast; however, when everyone uses it at the same time, there is a traffic jam and it moves slowly. Conversely, the John Deere RTK Radio 450 is a private road.